Leaving school can be a very confusing time as you will have a lot of paths to choose from that help guide your future! You can go to 6th form, college, get an apprenticeship or even a job. Here is some advice that I hope will 'help you to choose how to start your future'. If you choose to go to 6th form, you will most probably already know the teachers that will be taking you through the course you take. This is not always a good thing, as most teachers haven't had outside real-world experience. That is... they've typically gone to school, then gone to college or university, and then go straight into teaching. This means that they have little knowledge of any businesses and how to run or start a business. 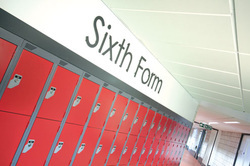 Before you choose to go to 6th form you should make sure that the course you take teaches you about the specific things that you will need in the job you are interested in. Choosing a college course is probably a far better choice than choosing 6th form, as colleges usually have staff and tutors that have previously worked for a company, and will know how to teach the specific courses in greater detail and they will have a better understanding of the Real-World Business side of things. Before you choose a course you will need to make sure it is the 'right course' for the subject and job you would like to use it for ie.There are many types of courses and varying qualities of courses/establishments. You can do a full-time course or a part-time course. Most full-time courses involve you being in College for three to five days per week for one or two years. All full-time courses are free, but you will have to pay a small registration fee to join the college. A part-time course is any course that runs for less than 16 hours per week in College. You will usually be in College for one day or evening per week. 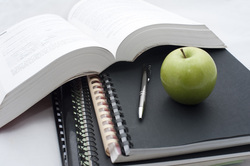 Most part-time courses have a fee. An apprenticeship allows you to work and learn at the same time. You start a job and your employer lets you go to a College for around one to three days per week. There are no set entry requirements to start an apprenticeship, however, you need to gain employment in the subject area you wish to train and gain qualifications in. An apprenticeship is great because you can work and learn about the courses you are interested in at the same time.